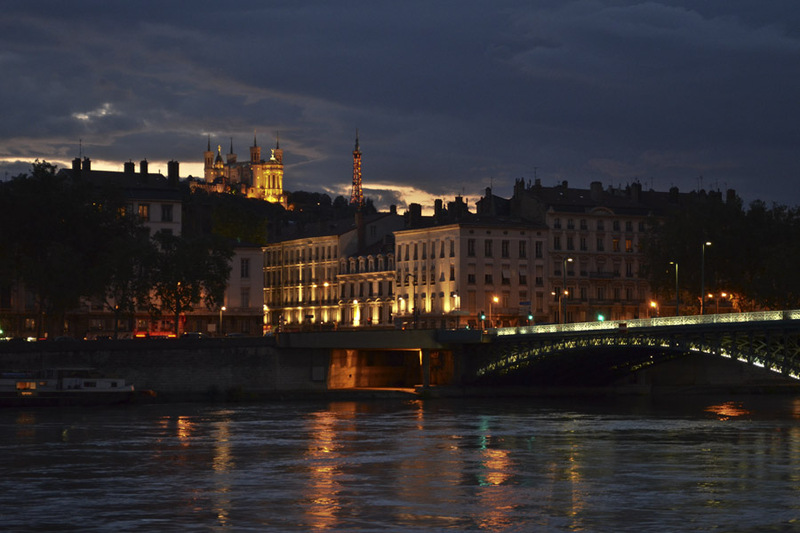 Lyon, France - June 12, 2012 10:00 PM. Looking across the Rhone River - the bridge is Pont de l'Universite, and up the hill is Notre-Dame de Fourviere. Click on the View My Galleries button below for more photos of Scenic France. By the way, try hitting your F11 key for a full frame image. For some of my older work try www.awsheffield.com.